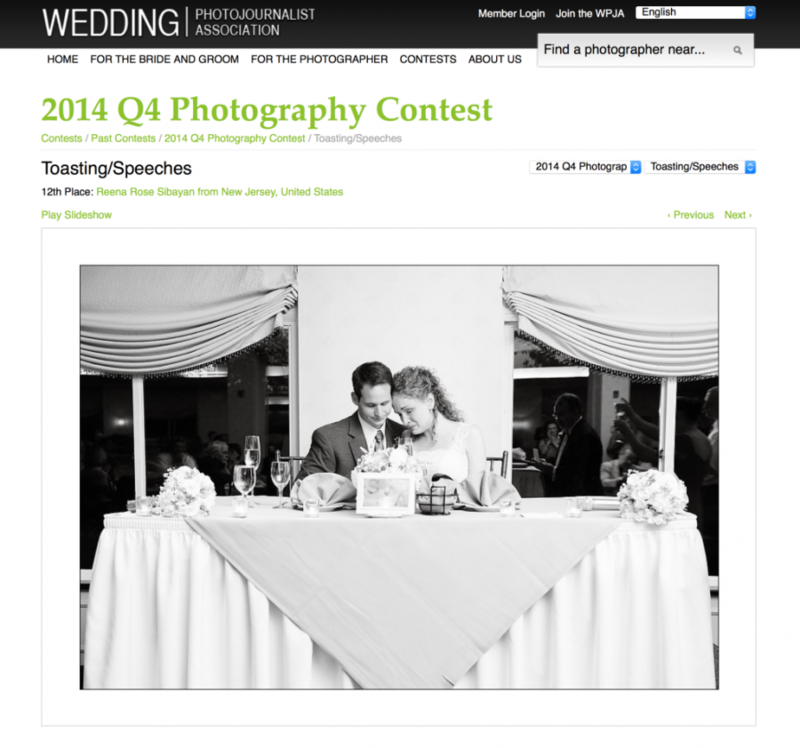 I’m happy to share that this photo from Allison and Scott’s Patriot Hills Golf Club wedding in Stony Point, N.Y., won in the international Wedding Photojournalist Association’s 2014 Quarter 4 Photography Contest. It is always exciting to win an award, but I also consider it a greater honor to be allowed to document people’s milestones, such their wedding day, and their authentic emotional moments. To view all winning images, click on the photo.